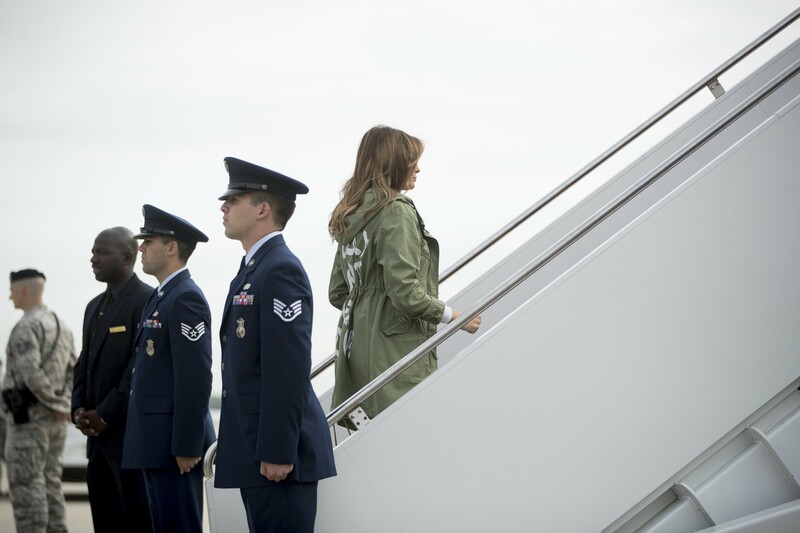 21 Jun 2018 Washington, D.C.
First Lady Melania Trump went bold on Thursday, wearing an army green parka jacket with the sentence “I really don’t care, do u?” graffitied across the back. 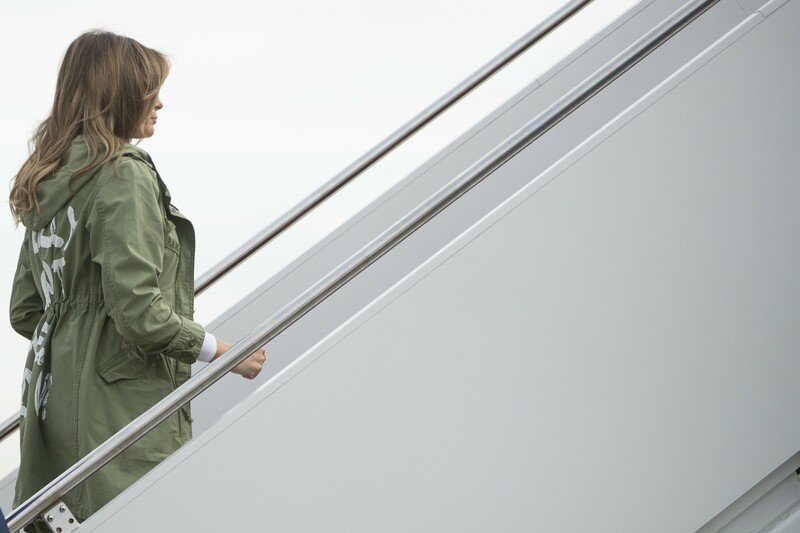 Mrs. Trump boarded her flight to visit the U.S.-Mexico border, stepping out of her Secret Service car in a neutral-clad, casual ensemble with sneakers and the parka which retailed for about $40 at Zara’s. 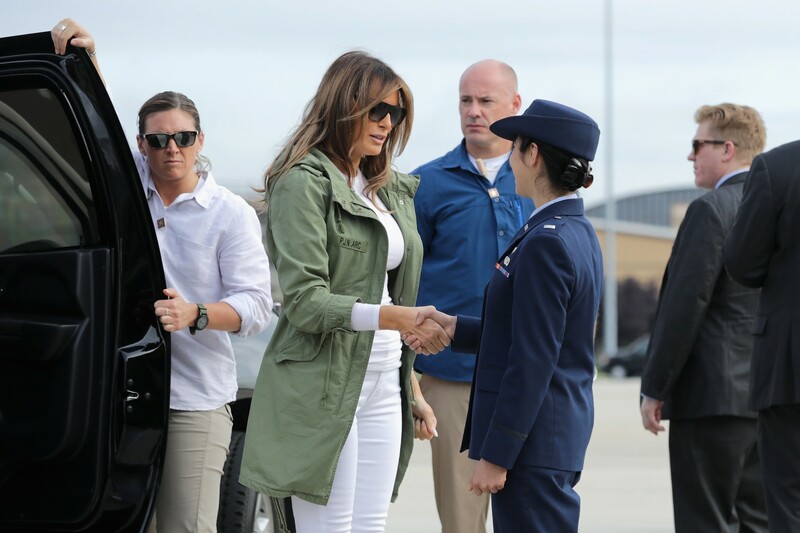 Though Mrs. Trump’s message on her jacket may have seemed like a mocking statement to the establishment media and Hollywood elites’ outrage over current border enforcement, her spokesperson Stephanie Grisham told Breitbart News this was not the case. “Of course not. It’s just a jacket,” Grisham said when asked if the message was directed at the media, which has relentlessly attacked Mrs. Trump. 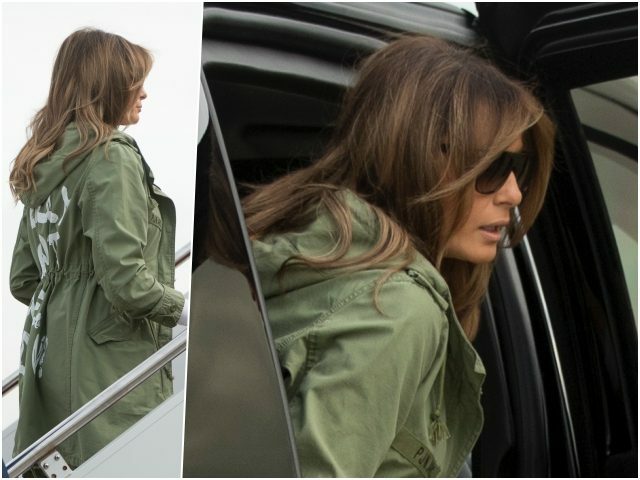 Last year, Mrs. Trump rocked a beautiful pair of black stilettos in a Top Gun chic look as she boarded a flight to a hurricane-ravaged region of the country, Breitbart News noted. A month later, Mrs. Trump defied the establishment media again, wearing snakeskin Manolo Blahniks while boarding a flight to visit Texas hurricane victims. 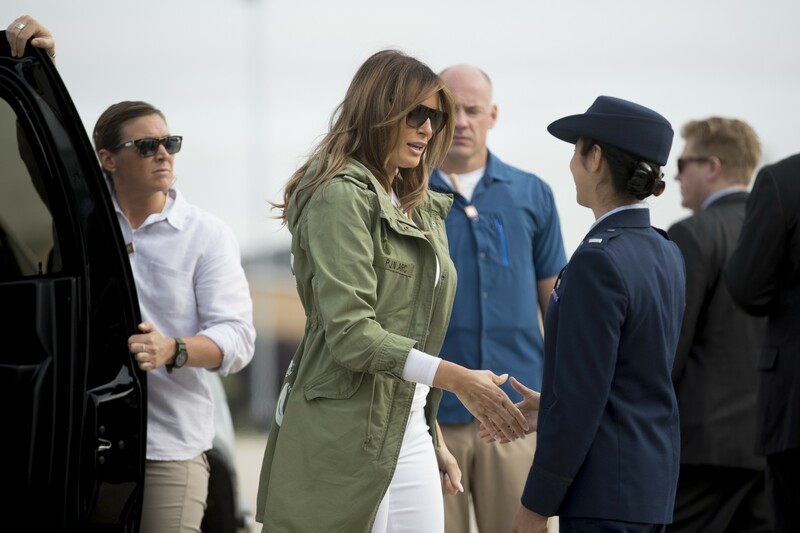 Mrs. Trump visited unaccompanied minor children and federal facilities sheltering them, telling law enforcement “thank you” for “your heroic work” at the border.